eWay-CRM allows you to secure communication using SSL certificate. 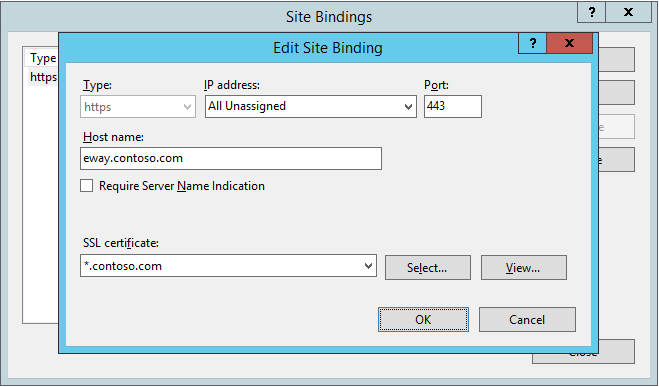 The setting differs whether you are using wildcard certificate (*.contoso.com) or classic certificate on one domain (www.contoso.com). Classic certificate: eWay-CRM has to run on domain after slash like this: www.contoso.com/eWay/. If you have eWay-CRM on your own domain, you need to create DNS record and set port forwarding on the router to the server where eWay-CRM runs.